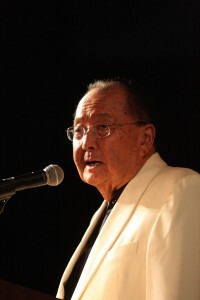 Tonight, our country has lost a true American hero with the passing of Senator Daniel Inouye. The second-longest serving Senator in the history of the chamber, Danny represented the people of Hawaii in Congress from the moment they joined the Union. In Washington, he worked to strengthen our military, forge bipartisan consensus, and hold those of us in government accountable to the people we were elected to serve. But it was his incredible bravery during World War II – including one heroic effort that cost him his arm but earned him the Medal of Honor – that made Danny not just a colleague and a mentor, but someone revered by all of us lucky enough to know him. Our thoughts and prayers are with the Inouye family.